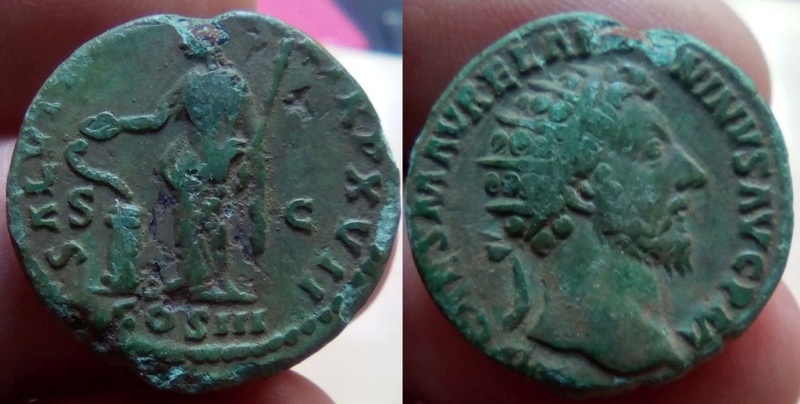 Marcus Aurelius AE Dupondius. IMP CAES M AVREL ANTONINVS AVG P M, radiate head right / SALVTI AVGVSTOR TR P XVII S-C, COS III below, Salus standing left, holding sceptre and feeding serpent rising from altar. Cohen 568. Oui , Cohen 568 , RIC 846 ...!! Bien plus beau en vrai .....!!!! Bravo ! Belle acquisition !